Dogs don't need a reason to celebrate, and neither should their guardians! 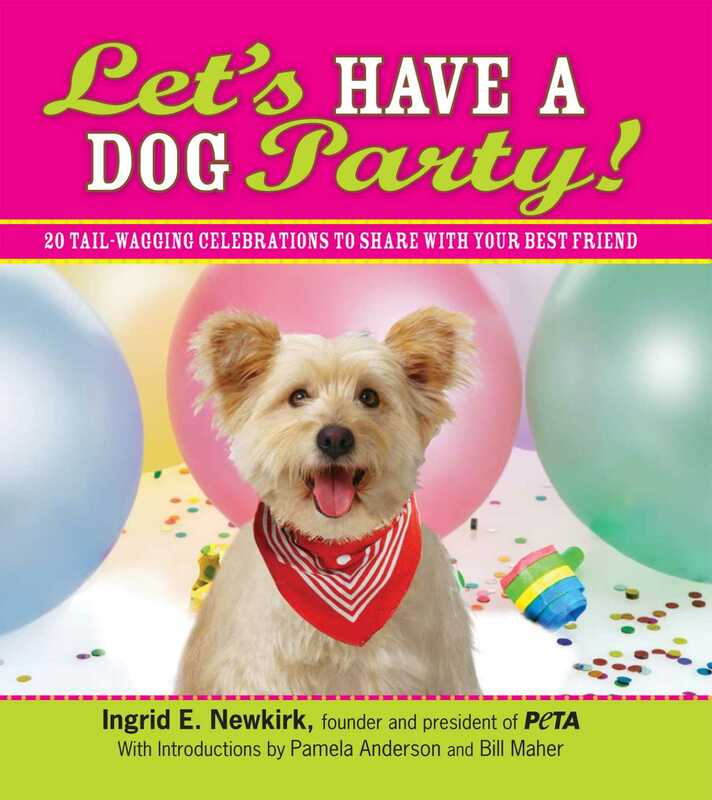 With Ingrid E. Newkirk's Let's Have a Dog Party! you'll learn that every day can be a special occasion and Ingrid shows you just how to make the most of it for dogs and yourself. Each page is packed with tips for: Hosting a themed party, including fiestas, luaus, adoption-day celebrations, and 'bark' mitzvahs; Creating goodie bags and gifts for canine and human guests; Making dog food and people food with recipes from Alicia Silverstone, Jackie Chan, William Shatner, and other stars who love dogs; and Celebrating doggie joy every day of the year. Whether it's a ride in the car, a trip to the beach, a special viewing of a D(dog)-rated film, or a good old-fashioned howl at the moon, Ingrid explains how to throw the perfect party for the ultimate party animal. Book Cover Image (jpg): Let's Have a Dog Party!